As ecological and economic justice movements hit the same hard limits of possibility, being realistic in our time in history means getting serious about what might have formerly been seen as impossible: actually replacing our broken corporate capitalist system. Gar Alperovitz, co-founder of the Democracy Collaborative and co-chair of its Next System Project, will show how we can begin to build together for the systemic change we need to save both democracy and the planet. As a political economist, author, former legislative director in the House and Senate, nonprofit innovator and scholar, Gar will share breakthrough models for community-based political-economic development and new institutions of community wealth ownership. He’ll highlight local, state and national policy approaches to community stability in the era of globalization that really work and can spread widely. 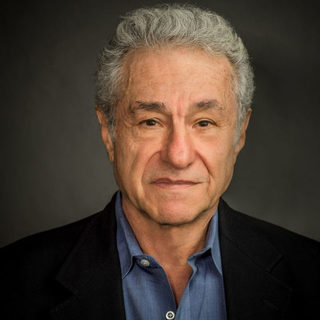 Gar Alperovitz, Ph.D., President of the National Center for Economic and Security Alternatives, co-founder of the Democracy Collaborative and co-chair of the Next System Project, has had a distinguished career as a historian, political economist, professor, scholar, activist, policy expert, and government official. The author of many critically acclaimed books, including on atomic diplomacy, his articles are widely published in leading news outlets, and he has frequently testified before Congress. Niki Okuk, MBA, is the founder of Rco Tires, which has recycled more than 300 million pounds of rubber, diverting 70 million gallons of oil from landfills, making it one of California’s largest sustainability plants (it’s also one of its most progressive firms in its hiring and management practices). Okuk previously worked in Joseph Stiglitz’s office and in finance in Korea and Singapore. Kali Akuno, co-founder and Co-Director of Cooperation Jackson, served as the Director of Special Projects in the administration of the late, renowned progressive Jackson, Mississippi Mayor, Chokwe Lumumba, focusing on the development of eco-friendly and human rights-enhancing policies in the city. Kali also previously served as the Co-Director of the U.S. Human Rights Network and as Executive Director of the Peoples’ Hurricane Relief Fund (PHRF). Aaron Tanaka, founder and Director of the Boston-based Center for Economic Democracy, is a community organizer, grant-maker, impact investor, and a founding organizer of the Boston Ujima Project, which brings together neighbors, workers, business owners and investors to create a new community-controlled regional economy. He is an Echoing Green and BALLE Fellow, and co-chair of the national New Economy Coalition and the Asian American Resource Workshop. Ellen Brown, an attorney and leading public banking advocate, founder of the Public Banking Institute and Senior Fellow of the Democracy Collaborative, is the author of hundreds of articles and 12+ books, including the best-selling Web of Debt, The Public Bank Solution and the upcoming Banking on the People. She also co-hosts the "It’s Our Money" radio program on PRN.FM. The Workers Economy network is a global network of unions, labor studies centers, cooperatives, activists, and other organizations focused on building worker control. It’s a great place to build international solidarity and meet comrades from across Latin America. Is anyone here planning on going? The Co-op Cafe worker collective is sending a delegation to the conference next month, we’d love to connect with other folks from this network who are planning on attending. On Sept. 5, 2018, small-business owner Niki Okuk, who founded Compton, California-based RCO Tires in 2012, explored the way systemic class oppression operates to make and keep people poor, and how this can take its toll on bodies and minds. She recounted the daily challenges and obstacles her employees face in securing affordable housing, reliable transportation, fair treatment by law enforcement and more. Okuk also examined worker-owned cooperative businesses as one way to create greater justice and equity for working people.